I’m thankful for so much as I am every year, but this year I’m especially thankful for the people I have in my life. For friends old and new, my family and my new family as a result of my recent marriage, my pup Bunsen, and of course my amazing husband! Then there are my incredible teachers, my professional relationships who have since become friends, and my wonderful clients who trust me to make their dreams a reality. So much love, gratitude and thanks to all of you. 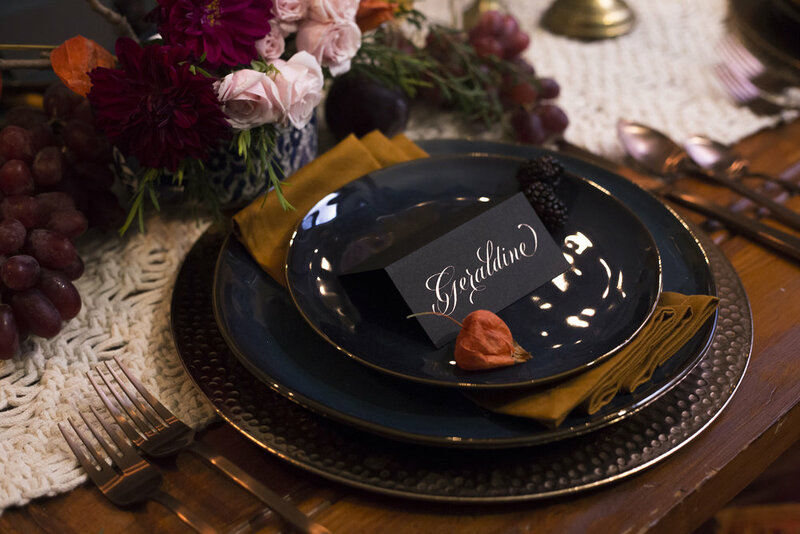 These beautiful images were a result of a recent Friendsgiving collaborative shoot with photographer Rebecca Jeanson and planner/stylist Justine Broughal and Sarah Samson. Place cards and invitation all designed and hand-calligraphed by yours truly.